‘Tis the season for mud! We are almost at the end of Winter, and in areas where there has been snow, the beautiful white landscape will soon turn to brown. It doesn’t matter the age of the dog, they seem to have a knack at finding mud. Spring should be called the season for baths because your furry friend is going to need a lot of them. Our Get Gorgeous line has everything you need to get out that tough mud and those stubborn tangles. Click the link right now to help your furry friend get from muddy, back to Gorgeous, with our Get Gorgeous line of grooming products. These products have been discontinued. Click below to buy from our line of Bobbi Panter products instead. These products have been discontinued. Please check out our health and wellness products here. 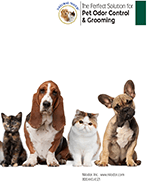 FUR•ma•tol•o•gy: The care & enrichment treatment concerning the physiology of Pets’ skin & fur. For pets with strong lingering malodors. Our potent yet gentle formula works to strip malodorous oils from the pets’ skin to naturally replace with beneficial natural oils for a pleasant smelling coat. 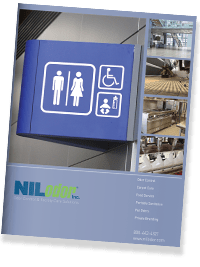 A special odor neutralizer is used to entrap foul smelling molecules upon contact for immediate odor relief. We also combine Lavender extract (aromatherapy & antiseptic), aloe vera (Moisture and soothing) and fragrance to enhance the effectiveness of the shampoo. For pets with sensitive or young skin. Our tearless mix of Aloe Vera (moisturizer & soothing agent), Rosemary (protects & promotes healthy skin) and chamomile (improve skin’s texture and elasticity) gently cleanses and moisturizes the epidermis (top layer of skin). This is especially formulated for pets with sensitive skin types and puppies’ young skin. A honey bath fragrance is light and tender for a soothing bathing treatment. For pets with Damaged, Dull Coats. Repair damaged brittle and dull coats by strengthening your pets coat with Moroccan FURShine TM . Argon oil (shine & moisture), Sesame oil (protect shine & improves hair flexibility), Vitamin E & A, Geranium (condition and intensifies shine) and Chamomile (infuse fur with shine, improves texture and flexibility) penetrate together to repair hair follicles and replenish luster. For pets with dry itchy skin & coats. Our natural rich formula combines Oat extract with olive oil (nurtures to restore softness and manageability), Shea Butter (infuses hair with added softness and moisture), chamomile (improves texture and flexibility), and aloe Vera (Moisture and soothing) and other bentificial extracts to moisturize the skin. This healing therapy effectively cleanses Xerosis (flaky dry skin) to restore your pet’s natural oils and smooth coat. The deep penetrating conditioners moistures protect for nourishment and added softness to the coat. For pets with severe irritated skin disorders. Epi-Relief™ is a healing therapy formulated for pets who are struggling with raw, irritated and inflamed skin due to allergies, insect/flea bites, or severe dry skin. Emu oil is known as “natures miracle salve for ailing skin”. It penetrates down to the dermal layer of the skin for long lasting effects. We have combined Emu oil with Soothex CQ (Reduces irritation, skin calming, reduces erythema (redness)), ginger root (Anti-bacterial), sage oil (Antiseptic, anti-inflammatory) and tea tree (soothing) to effectively reduce inflammation and soothe ailing skin. This formula can be applied to flaky skin, cracked skin, itchy skin, hot spots. This formula will also help restore hair loss from the constant scratching from hot spots. 94% of all Veterinarian Dermatologist recommend the use of sunscreen on pets. Apply Furmatology’s FurShield for a natural Sun barrier to reduce the exposure of damaging UVA & UVB rays and sooth sun damaged skin. This unique formula protects and supports a healthy skin & coat with enriched vitamins and essential oils for natural UVA & UVB protection. Although most dogs have a certain degree of natural protection from sunburn, even dogs with the thickest coats can have vulnerable spots. Shake well and spray FurShield on their belly, groin, inside upper legs, nose, ears, muzzle and other skin areas before the sun exposure. Apply to the entire coat to pets suggested above. Avoid the eye area buy using fingers to apply to the face. Reapply if pet gets wet from Swimming or excessive licking or every 2-3 hours while in direct sunlight. Brush up on your pets’ oral care with our safe, easy to use, and highly-effective solutions. 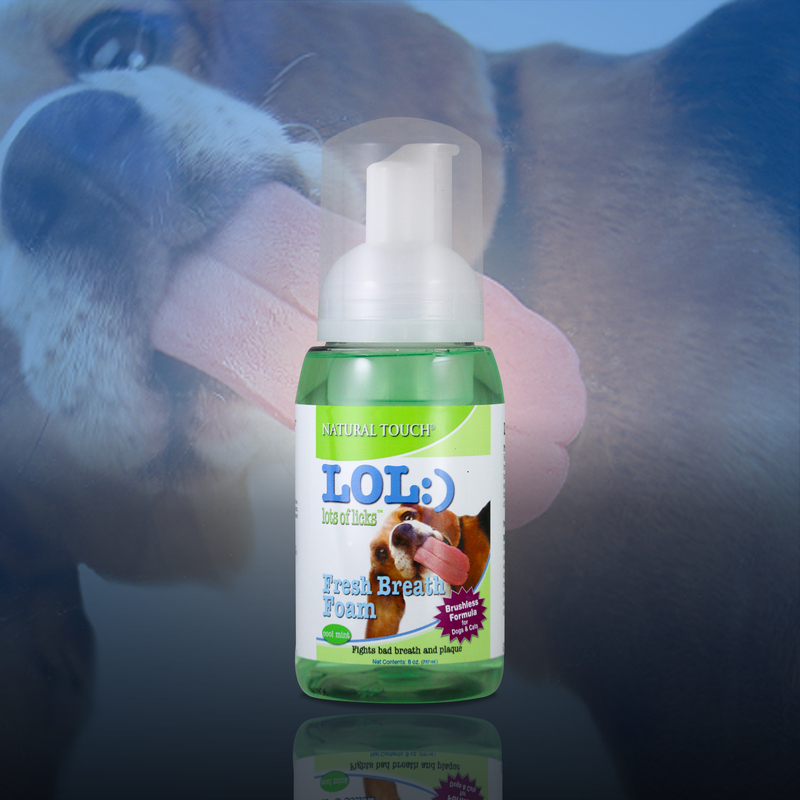 LOL:) lots of licks™ Fresh Breath Foam Fresh Breath Foam Reduces the Funk (doggie breath) & Gunk (tarter build up). Foaming breath solution whips up to give that Funk and Gunk a kiss-off. NO BRUSHING REQUIRED. Simply use foamer to gently squirt solution onto teeth and gums daily. No messy drips just a fresh, minty treat! For best results, your pet should receive daily oral care to prevent periodontal disease. 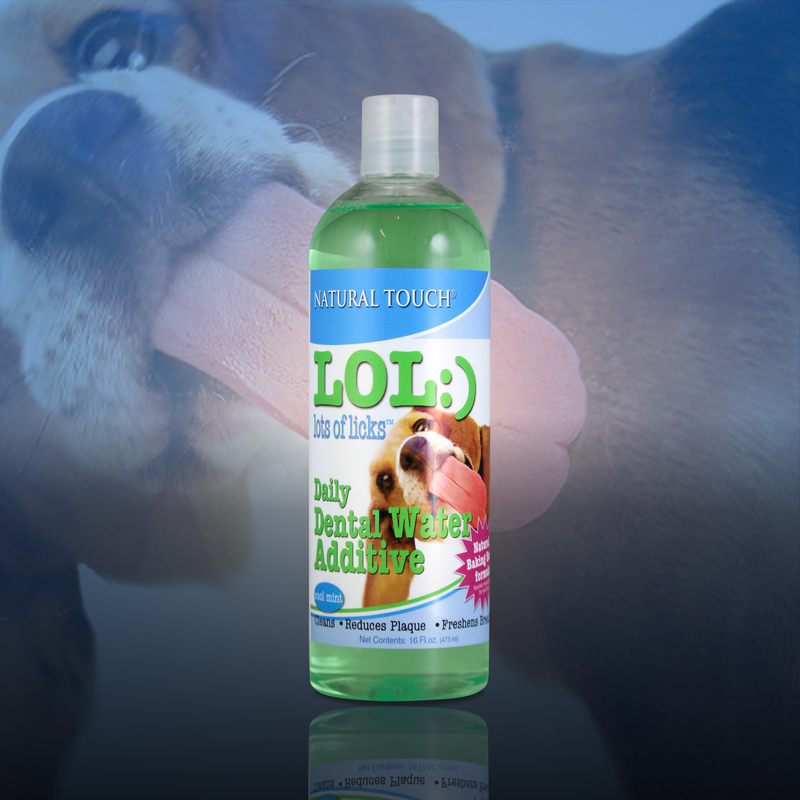 LOL’s will fight those odor-causing germs and neutralize your pet’s bad breath and replace it with fresh, Cool Mint scent. 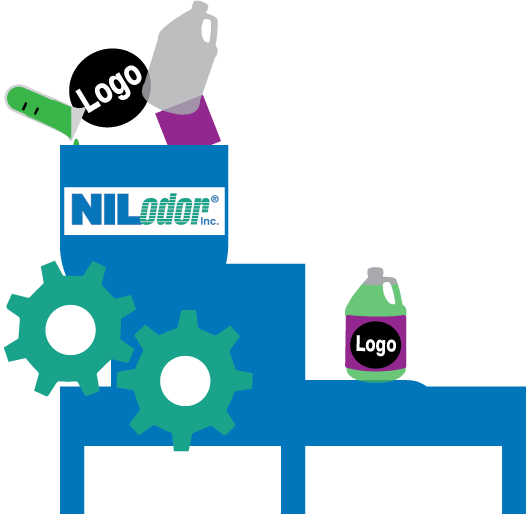 LOL is easy to use and works quickly. LOL:) lots of licks™ Daily Dental Water Additive: Daily Dental Water Additive Reduces the Funk (doggie breath) & Gunk (plaque build up). NO BRUSHING OR RINSING REQUIRED. Simply add 2-3 cap fulls to your pets water bowl (per 16 oz.) every time you fill it. Your pet should receive daily oral care to prevent periodontal disease. For optimal results use with LOL Fresh Breath Foam and Pet Dental Gel. 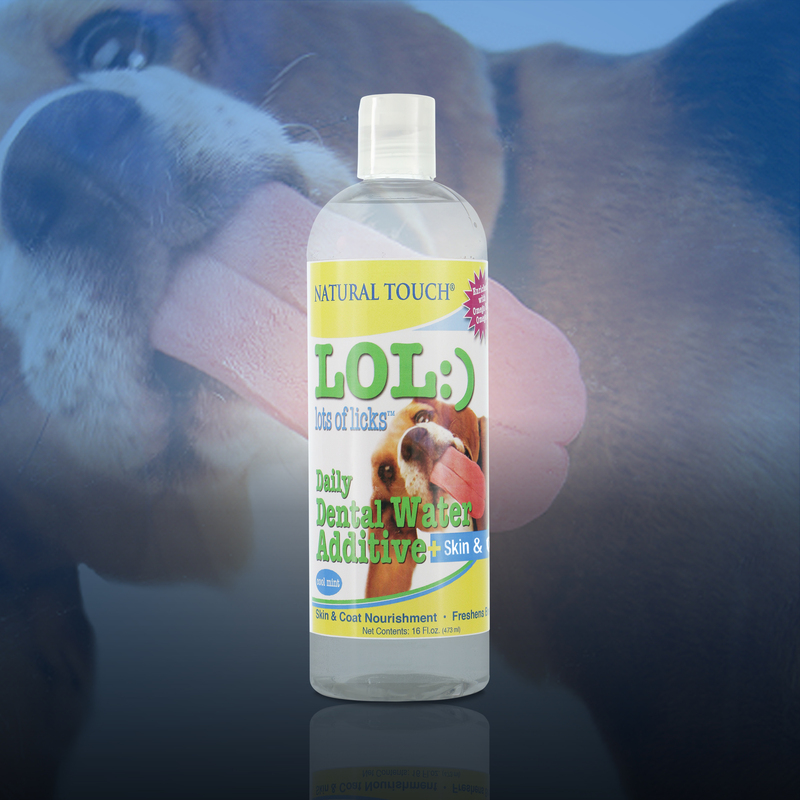 LOL:) lots of licks™ Pet Dental GEL Pet Dental GEL Reduces the Funk (doggie breath) & Gunk (tarter build up). Whips up to give that Funk and Gunk a kiss-off. Use with or without finger or finger brush. Apply gel directly to oral areas where plaque and tarter are visibly present. 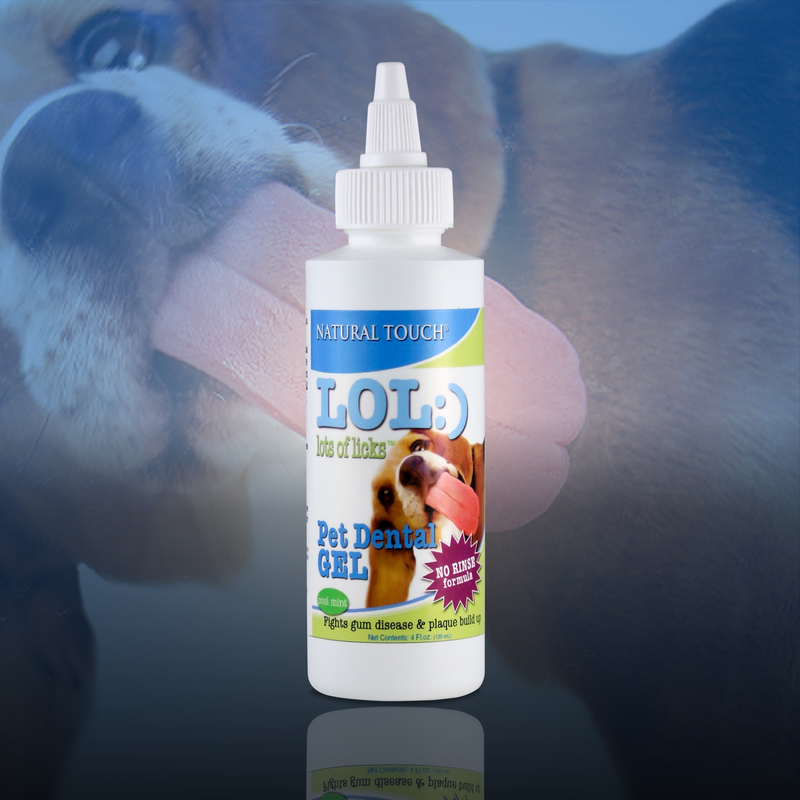 Pets licking action will mix saliva and gel to coat all oral surfaces. No rinse required. •Withhold water & food for 30 minutes before and after treatment. 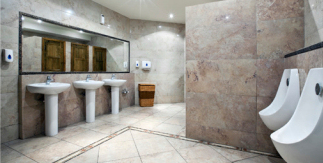 •Brushing not necessary, but will expedite removal of plaque and tartar. •Use daily. For initial use or for more severe cases, apply 3 times a day for the first 7 days. LOL Lots of Licks Daily Dental Water Additive w Digestive Enzymes cleans teeth and gums and fights bad breath. Promotes healthy and regular digestive tract, protein- digestive enzymes break down foods and anti-inflammatories sooth GI tract. 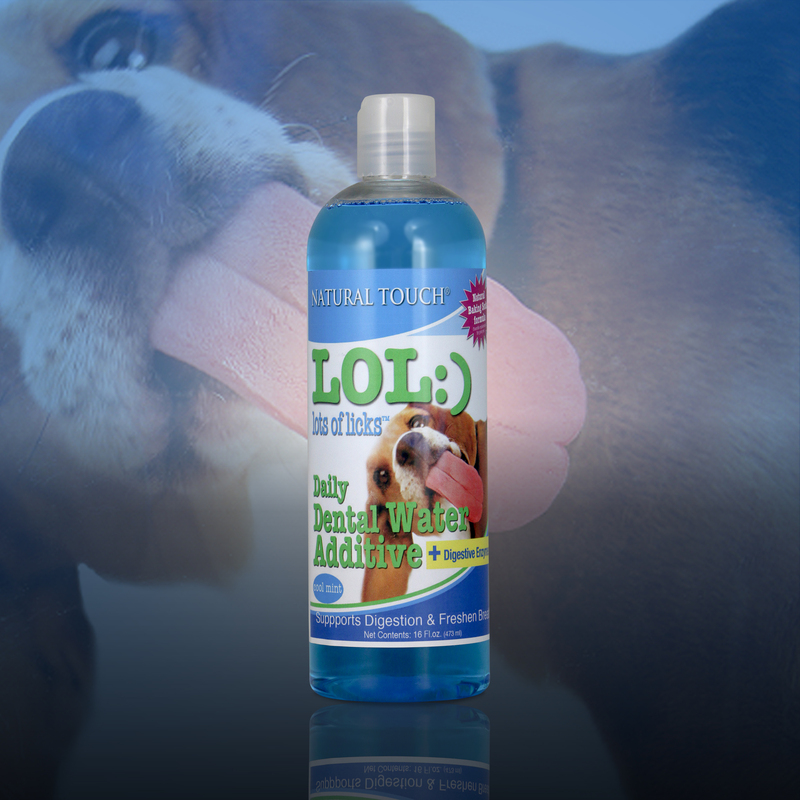 LOL Lots of Licks Daily Dental Water Additive Skin and Coat cleans teeth and gums and fights bad breath, Maintains rich color and silky coat, healthy weight of your pet, and aids in reducing itching and inflammation. NO BRUSHING OR RINSING REQUIRED. Simply add daily recommended dosage of 500 mg per cap fulls to your pets water bowl (per 16 oz.) every time you refill it. For optimal oral results use with LOL Fresh Breath Foam and Pet Dental Gel. 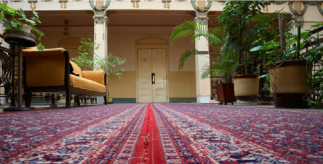 You can buy them buy clicking the picture above, by calling 1.800.443.4321 or through a distributor.